CENTRAL — Since 1982, Trade Construction Company has been providing consistent, quality fabrication and construction services to customers in Greater Baton Rouge and beyond. 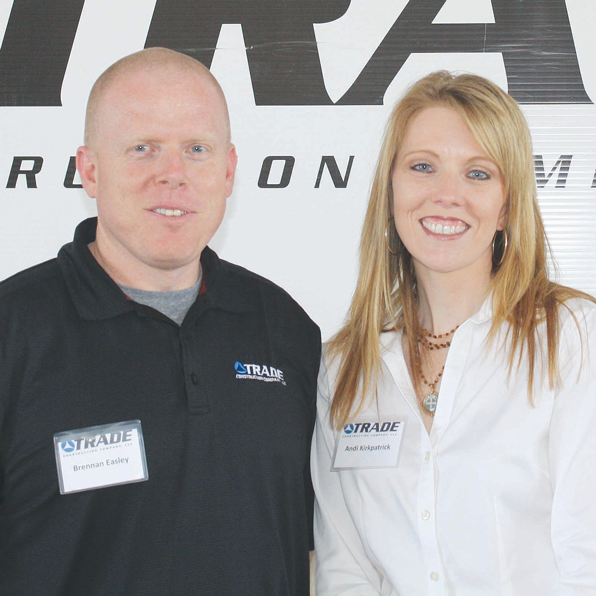 In the three decades since Will Easley and a few partners started the company, Trade Construction has steadily grown into one of the Baton Rouge area’s most successful family-owned businesses. The company began as a full-service industrial construction contractor primarily for the petrochemical industry. Today, Trade Construction offers a broad range of services in the areas of pipe fabrication, pipeline equipment, and industrial construction. Over the years, the company developed a niche in pipe fabrication. Performing pipe fabrication directly for external customers now accounts for 50 percent of the company’s total volume. Trade Construction can fabricate for simple projects as well as complex, large-scale jobs. Will Easley retired in 2011, and today Trade Construction is owned by his children, president Brennan Easley and CFO Andi Kirkpatrick. Under their leadership, the company is experiencing a period of significant growth. In January of 2012, Trade Construction acquired Four Star Industrial Contractors, a Baton Rouge-area business that, like Trade Construction, was primarily in the pipe fabrication industry. Brennan Easley says Four Star fits well with Trade Construction’s culture and corporate philosophy. “We have the same regard toward quality, safety, and simply doing things right,” he explains. With the addition of Four Star, Trade Construction now has 115 full-time employees. Trade Construction’s clients include BASF, Williams Gas Pipeline, Northwest Pipeline, Cajun Industries, Boh Brothers, James Construction, Turner Industries, and ExxonMobil, among others. The company, which is headquartered in the city of Central, recently added a new 16,000-square-foot, state-of-the-art pipeline equipment manufacturing shop next to its existing pipe fabrication facility. This will not only expand Trade Construction’s capacity, it will also improve production efficiencies, as employees will be better able to share resources and knowledge. That’s important because Trade Construction boasts an experienced staff, some of whom have been with the company since day one. And, despite technological advancements in the industry, “At the end of the day, you still must have solid craftspeople to execute the work,” Easley says.